The Favorites toolbar mirrors the first 24 tools defined in your Favorites toolbox. When you edit a tool in the toolbox, it will automatically update in the toolbar as well. If the toolbar isn't showing, you can activate it by selecting View, Toolbars, Favorite Tools on the menu. 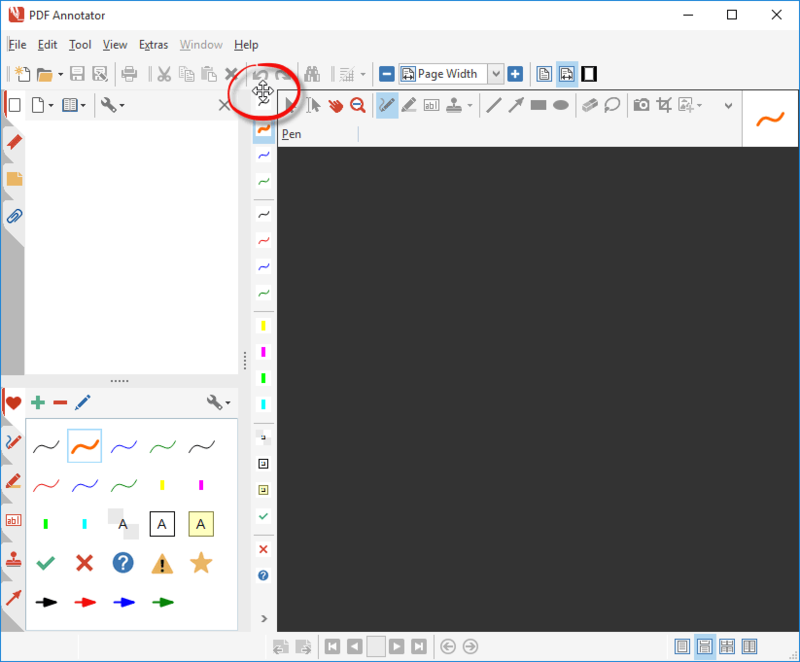 The toolbar will appear vertically between the sidebar and the document view. If you prefer a different position for the Favorites toolbar, you can move or undock it! The Favorites toolbar can be undocked and dragged to another location on the screen. First, right click any toolbar and uncheck the Lock All Toolbars option. Now, position your cursor over the top of the toolbar so that you get the grab handle. Click and drag the toolbar to your new location. The toolbar will first undock, and you can drag it to any desired position. 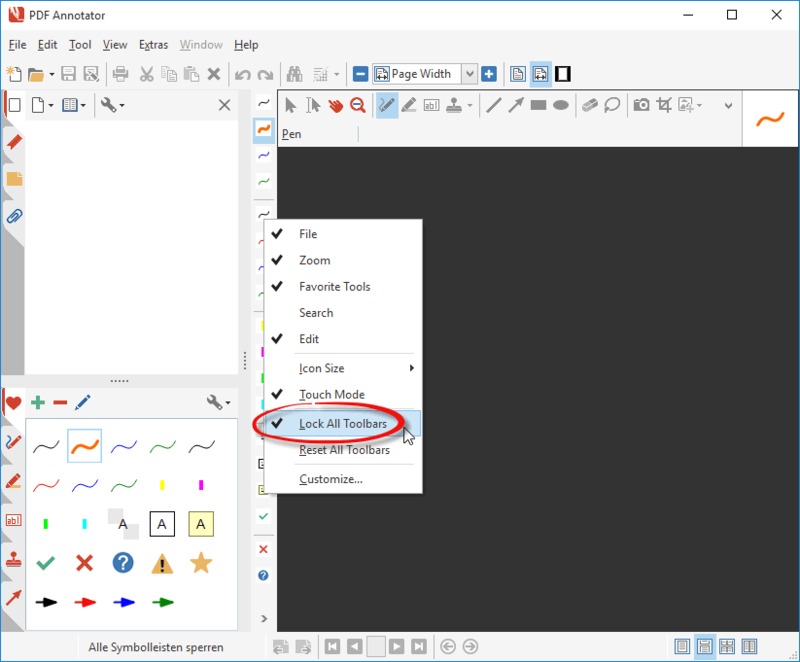 You can either find a free, floating position for your toolbar, or dock it at any edge of the main window. To dock the toolbar, drag it close to the window's edge, and see when it docks automatically. 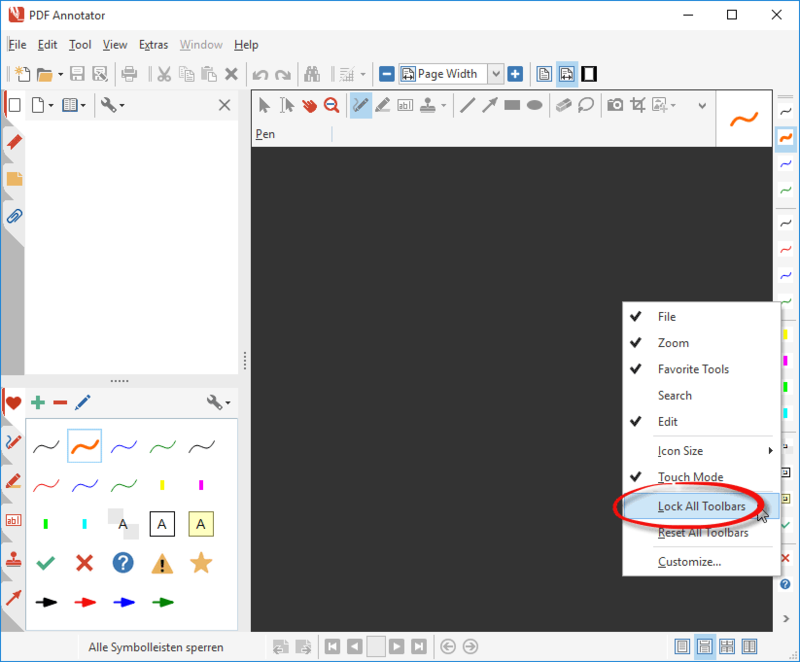 Once your toolbar is in the right position, end dragging by lifting the mouse button. Don't forget to check the Lock All Toolbars option again. This will prevent your toolbars from accidentally being moved with the mouse. Also, you can always reset your toolbars to their delivery states as well. Just click View, Toolbars, Reset All Toolbars. 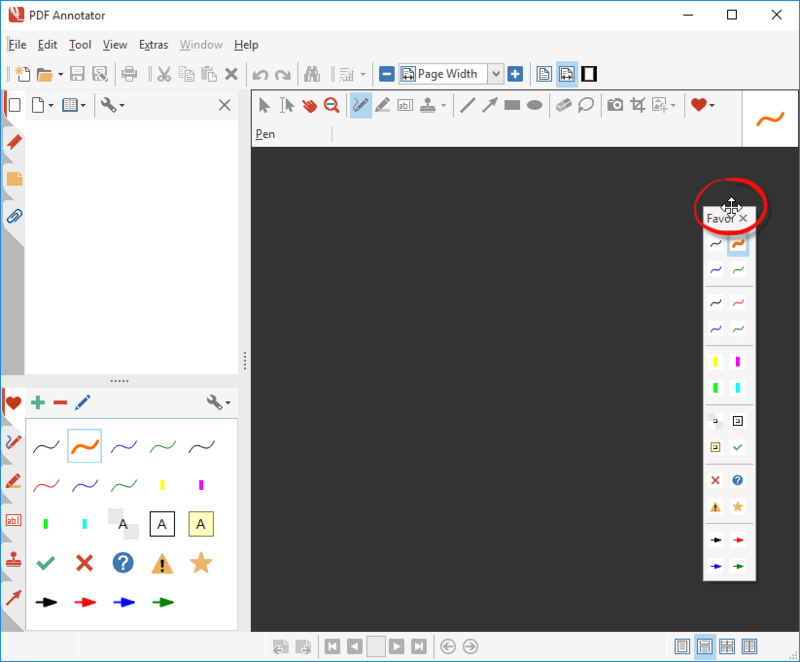 Keep in mind that this will also reset any customization you made to the toolbars. It will not affect your toolbox, and the favorite tools defined, though.